Many of us understand what hyperconverged infrastructure—or as I’ll refer to it, HCI 1.0—is right? -Put simply, it is the convergence of compute, storage and network in one single hardware unit. Now, let’s talk about the latest trend in storage- hybrid-converged infrastructure—HCI 2.0. Like its predecessor, HCI 2.0 is a superset of hyperconverged infrastructure that provides the same capabilities of compute, storage and networking in one hardware “box,” which is typically an x86 server loaded up with drives (either flash or HDD, or any combination thereof). The additional functionality that HCI 2.0 brings to the table is that it also connects to storage that is external. In other words, it provides all of the benefits of hyperconverged infrastructure without sacrificing existing Storage Area Networks ( SANs). With a hybrid-converged infrastructure, you no longer have to choose between a SAN or an HCI appliance—you can have them both. 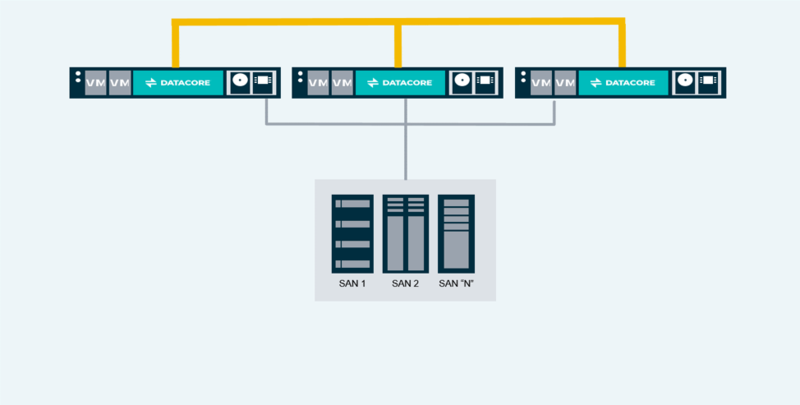 This way, the capacity of existing hyperconverged nodes can be expanded by connecting to an external SAN without needing to shut down the HCI 1.0 nodes, adding more storage or purchasing more nodes. Now that we have presented a clearer idea of the differences between HCI 1.0 and 2.0, let’s discuss what really happened in the 2.0 version. Hybrid-converged infrastructure is actually a combination of software-defined storage (SDS) and hyperconverged infrastructure. Both technologies have their benefits and downsides. I’ve documented this in an earlier blog post so no need to rehash it here. But, the important elements to note are that the benefits of both technologies are now available in a single solution that we are referring to as hybrid-converged infrastructure, aka HCI 2.0. Equally as important, we are eliminating the downsides of both solutions. This is literally, to repeat an oft-used phrase, the “best of both worlds!” I understand that sometimes you have to choose between two things such as a PC or Mac, chicken or fish at a wedding, fries and tots—you get the picture. But, with HCI 2.0, we are letting you have your cake and eat it too (speaking of oft-used phrases)! In conclusion, SDS, HCI 1.0 and/or HCI 2.0 should be considered independently or in any combination thereof, depending on what your company needs. Although both solutions are beneficial and similar, they’re still unique. At DataCore, we specialize in both and dare I say, are the only ones to provide HCI 2.0!!! But, don’t just take our word for it, try it for yourself! Download a FREE 30-day trial or a live demo today.